You want to come to Greece. Here is your bucket list of 40 things to do here. Important notice: In order to do them all you will have to visit again and again. Yet, we promise it will be enjoyable. 1. Set foot on all 4 corners of Greece. 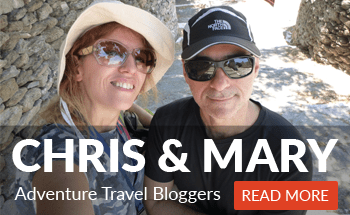 Visit Epirus, Crete, Alexandroupoli, Methoni. 2. Cross Greece on a bicycle. The bicycle tour will require a bit of planning but you will definitely meet the Greek country side very well. 3. Live like a local in Greece for a month. Want to learn what it means to be a Greek? Live 15 days in mainland and another 15 days at an island. 4. Attend a traditional Greek Festival (Panigiri). There are different ones happening all around Greece, especially during summer time, but also in Spring. Attend an Easter celebration in Greece in Corfu or mainland. Attend the Sardine celebration or the Tomatoe (or tomato) celebration and more. 5. Hike, Trek, Kitesurf, Windsurf in Greece. Find what Greece’s green, sun and sea is about. 6. Learn Greek. Learn more than Yeia sou (hello) and Kalimera (Goodmorning). Have a small discussion and try to talk politics. 7. Try skiing in any of Greek mountains. Arrange for helicopter to get you there. 8. Travel Greece by train. Take it slowly. 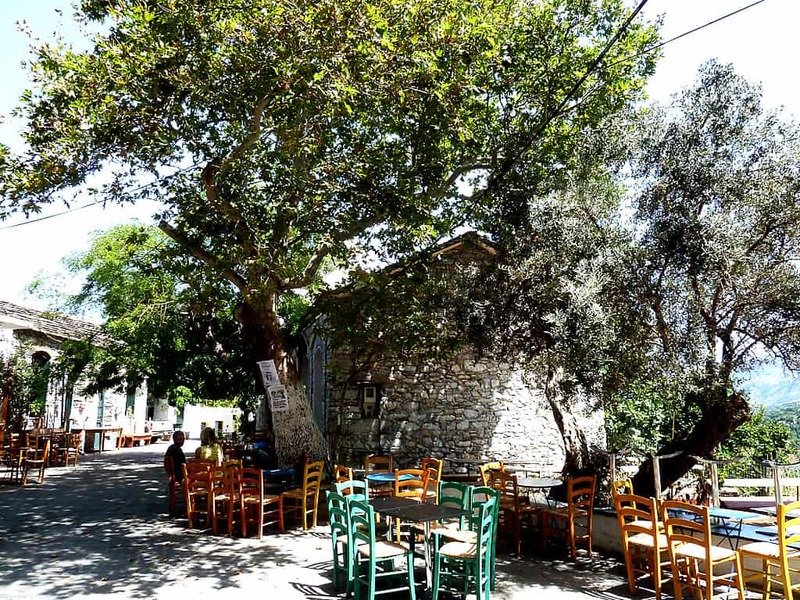 Stop at midsize towns of Greece and find out their culture and whereabouts. 9. Climb to Mount Olympus. Meet the Gods and have a life time experience. 10. Dive with dolphins. Find out where they hang out. Rumors say in Halkidiki, in North Sporades, around Kythera and in some areas in Crete. 11. Participate in the Carnival of Patras or any Phallic one in Northern Greece. Have fun, blush and learn the origins of a Carnival. 12. Dance Greek Traditional dances. Many schools teach such and you can learn very well from locals at Traditional Festivals. 13. Surf. Either in Ikaria, Samos, Tinos island or anywhere you definitely need to try it. Eat souvlaki later. 14. Scuba dive in all Greek islands. Chances to get eaten by shark=zero. 15. Publish a post about your travels (and include us too). Let people know what you have done. Inspire them. 16. Volunteer in Greece for summer vacations. Save the turtles, protect the dolphins, rescue animals in Kos and have fun and get tanned. 17. Visit protected Forests in Greece. From Dadia (Evros) to any area that belongs to Natura 2000 network, to Valia Calda, get prepared for stunning beauty. 18. 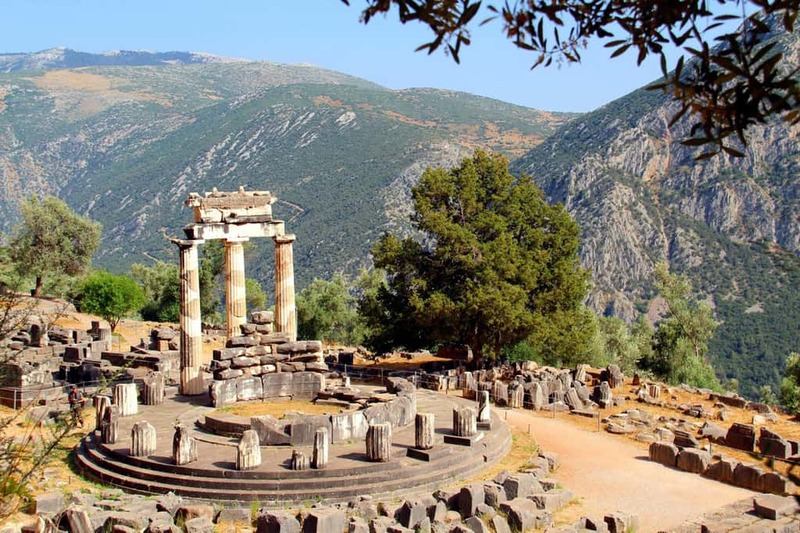 Visit Delphi. You heard of Apollo. Now go and meet him. 19. Visit volcanoes of Greece. Go to Sousaki, Methana, Milos, Nisyros, Santorini. 20. Rent a boat and snoop around. In many places in Greece you can rent a boat and visit remote beaches and small islands. 21. Grow, prepare, cook and eat your own food. Tons of culinary events are happening where you can participate in the food process. Join one. 22. Live off the grid and enjoy wellness in Greece. Un-plug, unhook from “civilization” and reduce the noise. There are places to do this. 23. Bathe in waterfalls. Either in Samothraki, or Neda Peloponnese or in Polylimnio and more, and find the fairies and swim with them. 24. Photograph all Greek sunsets. From mountain tops to island beaches. 25. Learn how to make a Greek dish. Find a “yiayia” (grandmother) and persuade her to reveal her secret recipe (good luck with that). 26. Attend a music festival. Go to European and International Festivals that happen in Greece all the time. 27. Enjoy rafting, sea kayak and canyoning. Meet the deep nature and rivers of Greece. 28. Spend the night in a traditional guesthouse. Find the one with the oldest history (but with renovated facilities). 29. Visit the Olympics birth place. Go to Ancient Olympia, but also visit the Nemea area too for the same reason. 30. Visit the birthplace or grave site of a famous Greek (preferably one that made cultural history). Learn what made him be awesome. 31. Bungy Jump all bridges of Greece. The ultimate scenery thrill. 32. Taste strong traditional Greek spirits. Drink ouzo, tsipouro, raki. Have a designated driver. 33. Deny a treat from a Cretan at a coffee house. Don’t. Seriously. Just accept and make friends. 34. 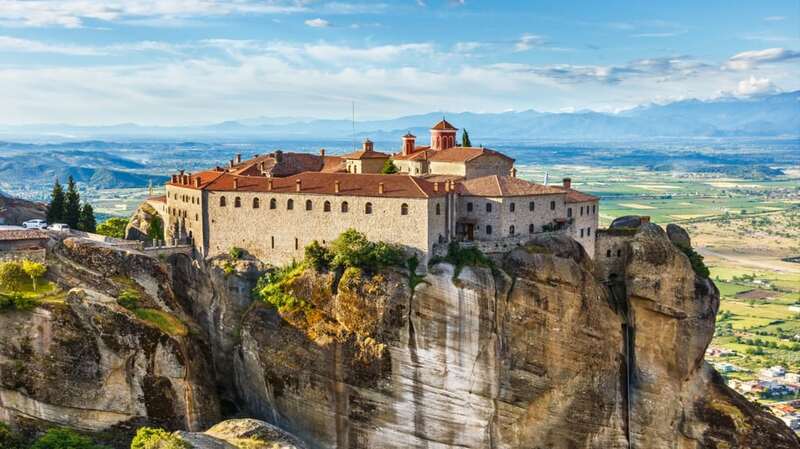 Visit remote Greek Monasteries & churches. We promise un-parallel beauty. Do visit Meteora. 35. Visit the archaeological sites of every location you visit. We have many everywhere. Learn their history. 36. Taste amazing world famous wines. Each area a different flavor. 37. Heal and soak in Thermal Spa’s. Select from either summer or winter ones and relax. 38. Eat Greek pastry. Taste “galaktoboureko”, “baklava”, “melomakarona”, “kourampiedes”, “diples”, spoon desserts, all kinds of marmalade, “loukoumia”. Make your sweet tooth happy. 39. Eat Greek Salad. Trust us. The original Greek salad tastes like nothing in the world. 40. Find traditional Greek bread (the round one). Eat it while hot with a bit a Greek oil and Feta cheese. Then go back and talk about them! Add your own and share! Did you like this article? Then please like and share.